During their second year, LLB students undertake a module titled Working in the Law. In this module students are provided with an opportunity to develop transferable and practical skills in the context of their career development. They are given the opportunity to think about different kinds of legal work and reflect on their knowledge, develop and practise skills and gain the experience needed to pursue the career of their choice. The module assists students in making, reviewing and implementing their career plans, and they are encouraged and supported in gaining practical work experience. 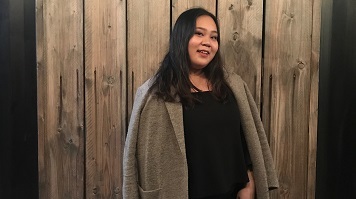 Danica Luces gained most experience at Southwark Law Centre, which aims to promote access to justice for people in need, primarily in Southwark, and then Advising London and Cambridge House. The law centre provides free, high-quality, specialist legal advice and representation in the areas of employment, housing, welfare rights, and immigration law. They prioritise cases involving discrimination, breaches of human rights and ones not dealt with by other agencies. “very interesting because we began with a meeting at the Salvation Army concerning the welfare of vulnerable people within our society; it was very engaging and interesting. I also got to sit in two client meetings and complete an application for one of the clients. In the first meeting the client was applying for a British passport, while in the next the clients were a non-EU couple whose passports was within of expiration, meaning that they were in danger of losing their job and their home provided by Southwark Council." "Sadly, they only had enough money for one passport renewal, and so they were advised by Anna Kouma that they should think about processing only one passport due to time restraints. I quickly realised that to provide effective advice to clients, you cannot become too attached with their situation and you need to be focused on the goals of helping them with their legal matters." On day three Danica moved to Advising London where she shadowed a recent Law graduate, Ukaria, who works at the centre advising the public on their legal rights, ranging from immigration to housing. “My main role was to observe and gain an insight on the various problems the public face and see how Ukaria tackled these dilemmas legally and professionally,” she adds. “Summing up my work placements I was generally given the task to shadow solicitors and listen to various client meetings, which gave me an insight to an actual role of a working solicitor. Meeting different clients from different walks of life gave me an idea of how to handle and communicate with them, ultimately giving me a sense of responsibility to portray a professional, trustworthy character and to respect the confidentiality of their cases. Danica says that prior to her week her main expectations were that she would simply be doing admin tasks and not really anything practical with the solicitors. Although she expected to gain an insight into a typical day of a solicitor and how they handle their clients, she did hope to gain first-hand experience of how solicitors provide legal services to the public, as opposed to just listening to law lectures at university. “The experiences I gained from my placements were beyond my expectation,” she says. “Gaining experience from admin work to actual observations and shadowing on a solicitor’s typical day was great. Furthermore, because I went to different law centres I can say that the experiences I gained were beyond my expectation because of the difference in observing an actual client’s case and how the solicitors or case workers provide legal advice. This is really different to a law lecture where I am taught law and how it is applied, but doesn’t really provide any practical experience or expectations on how different clients should be dealt with. “I felt that I gained valuable knowledge on how solicitors give advice and the resources they utilise, which are mainly online, to remain updated with recent law reforms and provide accurate legal advice to their clients. In addition, I also learnt how various law centres operate on advising their clients and how their daily routine in the centre differs from each other. “I also experienced how solicitors handle a case upheld by a client and their strategies for advising them. In addition to this, observing first hand and meeting a client made me realise that it can be overwhelming emotionally to listen to other people’s problems who are in danger of losing their homes. In comparison to reading cases in lectures, listening to actual clients had a great impact on me emotionally; gaining this experience allowed me to learn differences between a classroom environment to an actual working environment as well as knowing my weakness with my emotions."